New free tool for VMware administrators – PowerActions for vSphere Web Client. The new utility was released by VMware labs recently and allows to execute PowerCLI scripts from within the vSphere web client. The free tool called PowerActions for vSphere Web Client brings also a library of PowerCLI scripts prepared for use. You can add or create your own scripts as well. What’s so interesting? It’s actually the architecture as the PowerActions commands are sent to a separate machine which runs PowerCLI and PowerActions software, it means that in your environment you only need to setup a single machine with .NET Framework 4.0 (hard requirement) and that’s it. So if the management station which will be used for installing the software has already the .NET 4.5 installed you’ll have to uninstall it first. The .NET hard requirements shall be lifted in future releases of this utility and it’s on the roadmap. PowerActions is a vSphere Web Client Plugin that allows users to run PowerCLI scripts from the vSphere Web Client interface. These commands are sent to a separate machine running PowerCLI and the PowerActions software. The PowerActions Plugin includes two menu items on the homepage of the Web Client as well as a PowerCLI menubar item when the user right-click’s on objects within the web client. Here is a screenshot from PowerCLI blog where you can find the instructions for the installations. (there are some chronological steps required so better follow). 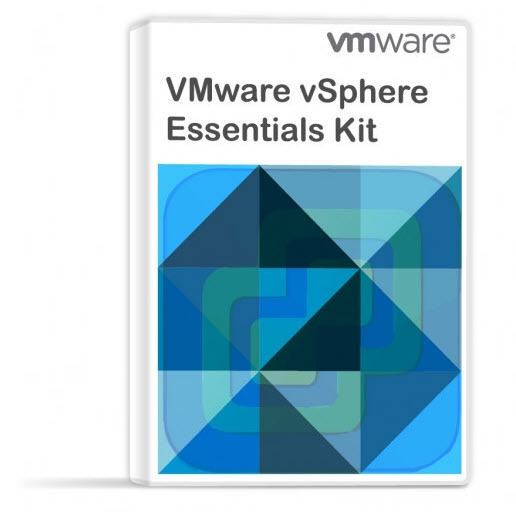 You can download the utility from VMware Labs website here. 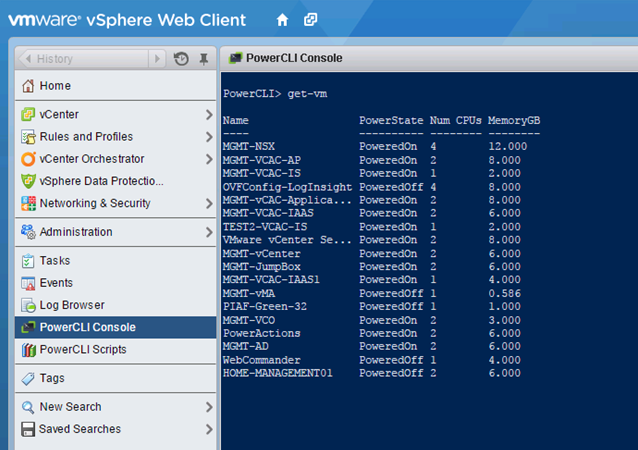 As you can see PowerActions for vSphere Web Client integrates as a plugin into a web based vSphere client.